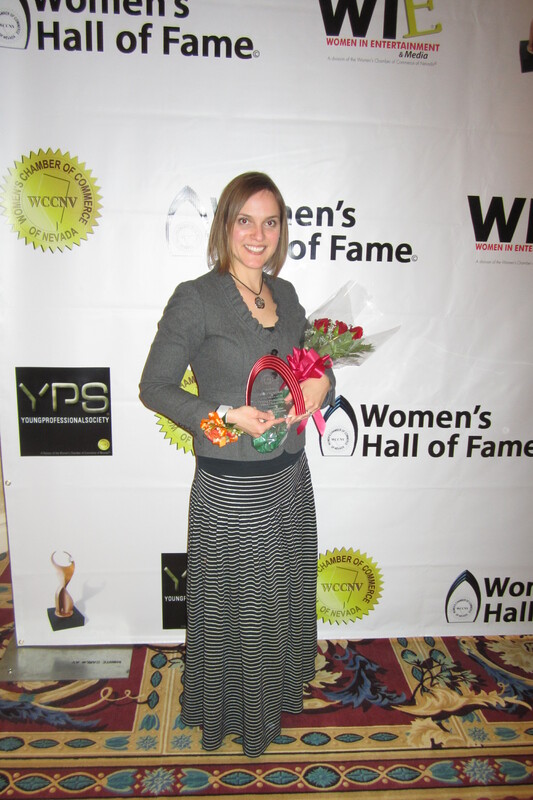 HENDERSON, Nev. – Imagine Communications’ director of media relations, Melissa Biernacinski, was inducted into the Women’s Chamber of Commerce’s Women’s Hall of Fame in the Young Professional Leadership category. In honor of Women’s History Month, the event was held Friday, March 28, at the Monte Carlo Resort and Casino. The Women’s Hall of Fame recognizes individuals who have achieved excellence in their chosen professions, who have given back to the community in a meaningful way and who have assisted women in realizing their full potential. 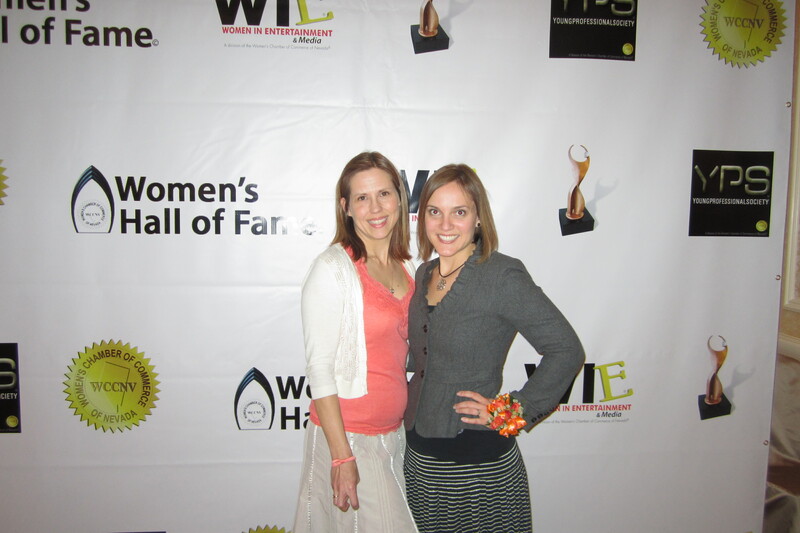 From the Imagine team, Biernacinski joins Imagine’s media relations specialist, Tiffannie Bond, who was inducted into the Women’s Hall of Fame, also in the Young Professional Leadership category, in 2012. Biernacinski uses her background in journalism and strong relationships with members of the media to lead Imagine’s media relations efforts. Serving as a critical component of public relations campaigns for local and national clients in industries across the board, Biernacinski’s experience includes local and national story pitching and coordination for print, TV, radio and online; award nominations; crisis communication; press conference coordination; legislative support; and more. A member of the American Copy Editors Society, she also serves as Imagine’s resident editor. Women’s Hall of Fame Pioneer Award Inductee: Marlene Adrian, DPE, President, Women of Diversity Productions, Inc. Professor Emerita, University of Illinois at U-C. Leadership Inductees are: Heather J. Allen, MD, FACP, medical oncologist for Comprehensive Cancer Centers of Nevada; Dawn Metcalfe, CFO/VP, Nathan Adelson Hospice; Jennifer Cooper, communications director, NV Governor’s Office of Economic Development; Gigi Vega, VP and GM of Nobu Hotel Caesars Palace; Paige Candee, president, 10e Media. Young Professional Leadership Inductees are: Patricia Lee. Esq, partner with Hutchinson & Steffen; Melissa Biernacinski, director of media relations, Imagine Communications; Tracy Skenandore, area director of marketing and public relations for Republic Service; Kathryn Joy Rineer, architect with Pugsley Simpson Coulter Architects; Jodi Tyson, government affairs director for Three Square Food Bank. Minority Lifetime Achievement Inductee: Phyllis A. James, executive vice president – special counsel – litigation and chief diversity officer of MGM Resorts International. Women in Entertainment & Media Inductee: Amie Jo Greer, TV producer/host/media, writer, and performer and Women’s Organization inductee, Women’s Leadership Council – United Way of Southern Nevada.